Hellooo burgers. Being a vegetarian or vegan can be a minefield at times—particularly when those specific and undeniable cravings perform a sneak attack and you’re not overly familiar with your surroundings. But that’s why you have us! For today’s lesson in satiating your burger yearning, we’ll begin at Burger Burger and finish at Better Burger to avoid confusion (how could you not differentiate between the two? Are you from Hamilton?) 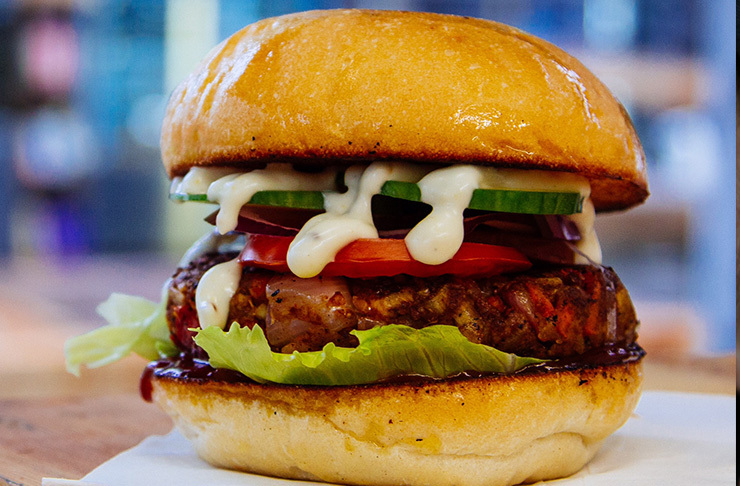 Here are the best vegetarian-friendly burgers in Auckland. Burger Burger is the obvious choice when it comes to burger-related hangriness. This is Auckland, you know the menu as well as you know to avoid the motorway during the bookends of a long weekend. You also know Burger Burger sure work some falafel magic. Easily veganised, you can swap out the buns for a bunnuce—which you will stare at, rearrange a little, stare at again, and then eventually just fully commit to “making work” like your last relationship (i.e. ends very messily). 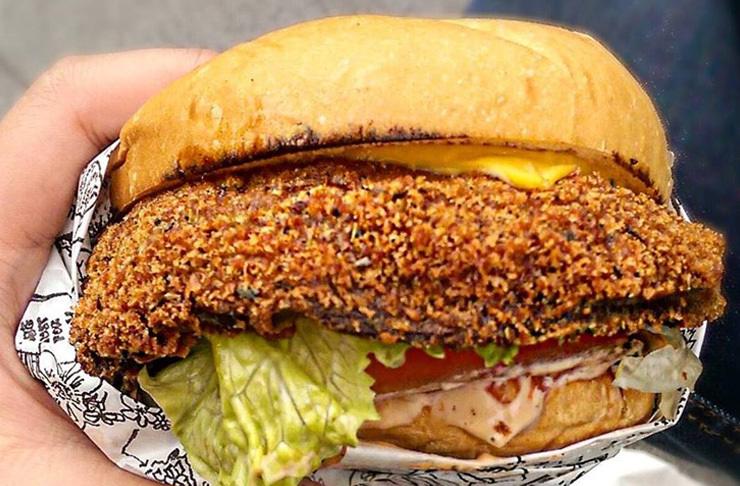 #Noregrets here though—Burger Burger’s falafel is always here for you, boo. When you make plans to catch up “in the tofu” (vege humour, not sorry) with like-minded animal-free burger-mad peeps, then you have to take a trip to Little Bird in Ponsonby. The kimchi burger up for grabs here is a little on the messy side thanks to its iceberg wrapping—but the best things in life don’t come without drawbacks. Fermented veggies are also really good for you, so it’s basically your duty to your co-workers to eat this burger and ward off any impending sniffles*. *This claim is supported by zero factual or clinical research. Shh, just eat the burger. Good on ya, Revel! You always have our back with this veggie burger lark. They really don’t mind us here, frequently throwing about the V word when describing dishes and not shying away from sustainability and ethical food production. Woo! Find some respite from the K’ Road hustle (quite literally, we may add) with a book on something low-key pretentious and feast yourself on a mushroom burger delight. Ah, heaven. It helps that it may be one of the best vegetarian burgers in Auckland. Rejoice,folk of the veggie/vegan persuasion. Find solace at Handmade Burgers, an old petrol-station-turned-burger-joint. Upon reaching your destination you will feel decidedly not cool enough, but you know what? You are. You are cool enough for these burgers! Yes, that’s right, plural. 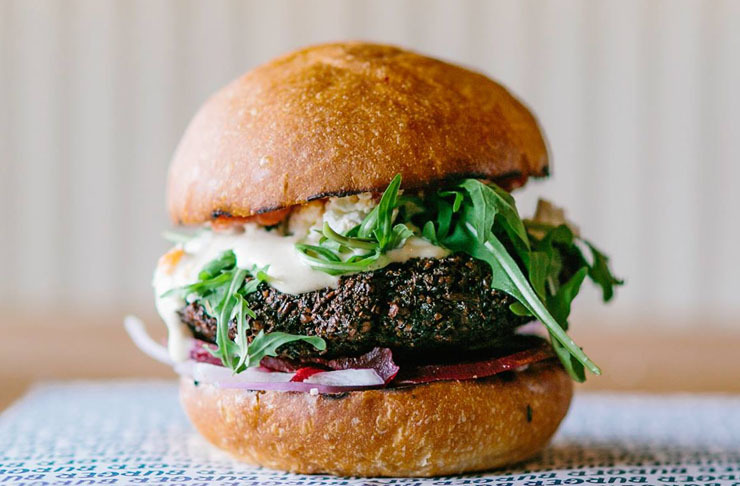 Handmade have FOUR vegetarian burgers to choose from, and the falafel and tempeh are 100 per cent vegan! It’s not really the place for documenting the experience on Instagram, so you’ll just have to leave the phone in your pocket and try to lock those flavours in your memory instead. Return tomorrow if it fails. We won’t tell. Fabulously vegan, wonderfully takeaway and holy smokes delicious, is Lord Of The Fries. Perched very happily on K’ Road, there’s a constant queue of hungry bellies lining out the door. 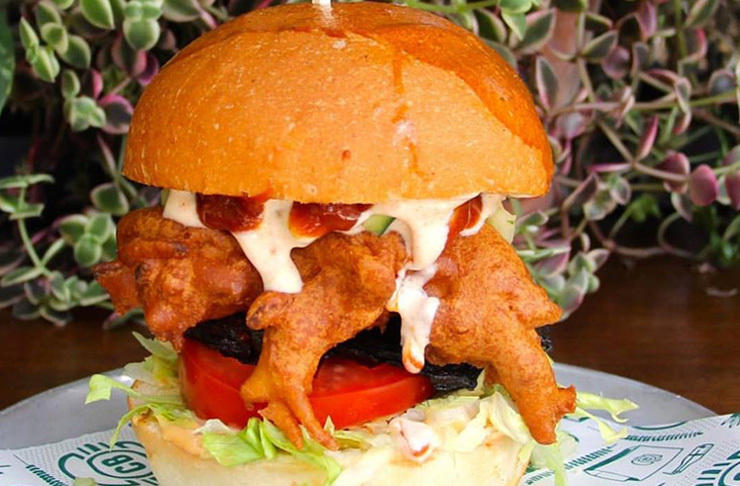 The parma burger is off the charts—tastes like chicken schnitzel yet it's vegetarian. It's then accompanied with bacon (made from soy), cheese (obv vegan) and a whole lotta sauce. Please, please teach us your ways! Don't get too excited but there's nuggets on the menu too...soy inspired. There’s a new boy in town and he’s happy as our old mate Larry. He also doesn’t discriminate against the vegetarians of Auckland and we dig that. Head to Happy Boy when you’re in need of an eat-your-weight-in-food kinda night and order yourself that damn delicious sesame crusted tofu patty. Paired with slaw, coriander, crushed peanuts and aioli on an infamous Happy Boy steamed bun, life just don’t get much better than that, amigos. If this becomes your new local at lightening speed, there’s no shame in that. If you’re looking for easy breezy no sweat eats, The Food Truck Garage comes out top. Their burgers feature front and centre on the menu and you’ll notice they’re very friendly to alternative diets. Huzzah, no need to ask a million questions. They’re also in a really handy location if you’re stranded downtown when the mood hits—you can hot foot it from ya Queen St shopping in five! 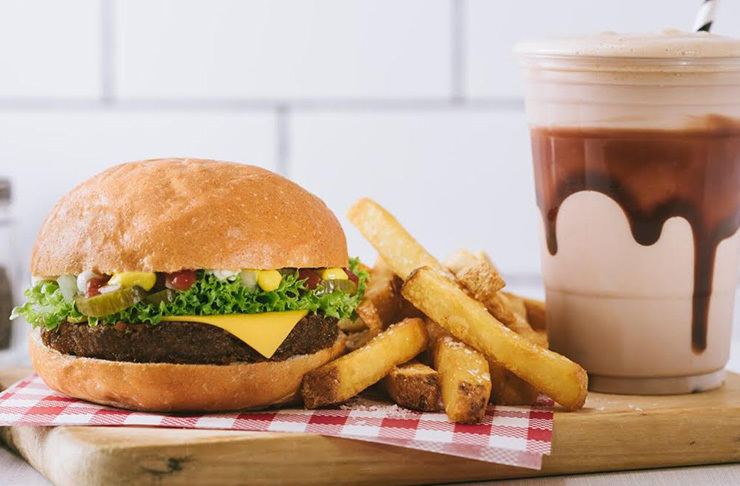 Boasting kumara brioche buns with nut mince—optional guac and the best damn kumara fries—you’ll find some of the best vegetarian burgers in Auckland! These guys need a permanent 24/7 location, STAT. At Wise Boys Burgers all their burgers are vegan. Yup, you read that right. THEY’RE. ALL. VEGAN. Yass. They’re hearty things too so you could probably forget to mention their vegan-ness to your omni-pals and they’ll be none the wiser… (heh. Wiser.) Also, anyone who wants to save the world via burgers gets a swipe-right from this veggie gal. Also—corn chips on a burger? Now you can kill that pesky “the burger or the nacho” internal conflict for once and for all. 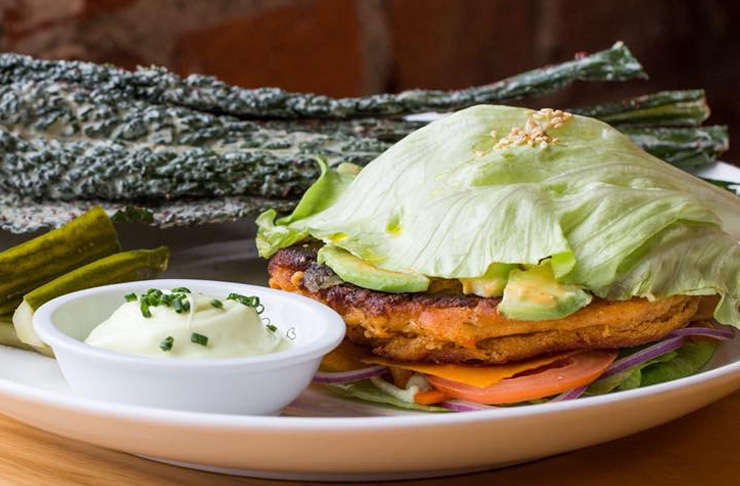 For arguably the best tofu / vegetarian burger in town, one can’t look past Raw Power situated at number 10 Vulcan Lane. Also, their lighting is great. Get a table by the window. Tofu-fanatics will not be disappointed in the density of this holy tofu slab. Good luck keeping it in its original burger-form though. You may be consigned to approaching this open-sammie style. It’s fine; it’s still a burger. Bear in mind, Raw Power are right in the CBD so they have typical CBD café hours…make it your “I forgot my lunch” fall-back and get in before 4pm! The reign of mushroom burgers is nigh, at Epsom and Mt Eden local, Corner Burger. If you’re looking to veganise this baby you’ll wanna steer clear of the buttery brioche and ask to sub the aioli out for some T-relish. But it’s still good! A decent amount of mushroom (i.e. not just a singular ‘shroom) means you’re not getting short-changed for being sans meat. We can already tell this relative newbie will be the perfect location for a pre-burger jaunt up One Tree Hill when summer rolls back around. Just picture it: mushroom burger in one hand, the other, taking yet another sunset snap. Aucklands vegan scene just gets better and better. Wholesome, locally sourced with an emphasis on quality, Tiger Burger is officially apart of Auckland’s best vegetarian burgers club. When you make kimchi fresh daily, take it to flavour town and pair it with a crispy tofu patty with a yang nyum glaze—s*** gets real. That my friends, is the Dobu burger. No not Dobby, get your heads out of Harry Potter already, pssssch. Or, why not order the Dobu to takeaway and munch it in front of Dobby on the TV? That burger sitch just skyrocketed to a whole new level. Whoever said vegans had it tough obvi have never lived the lush life. Hah, ignorant ain’t so bliss after all.